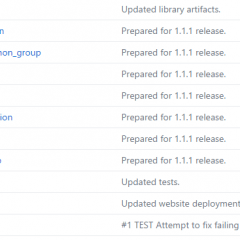 Android integration of multiple icon providers such as FontAwesome, Entypo, Typicons. 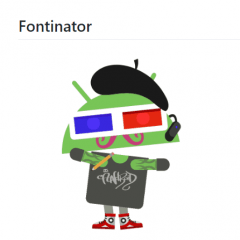 Fontinator is an Android-Library make it easy, to use custom Fonts. 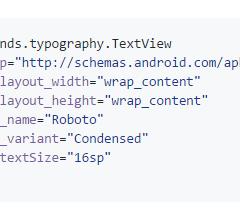 An android library that makes it easy to add custom fonts to edittexts and textviews. 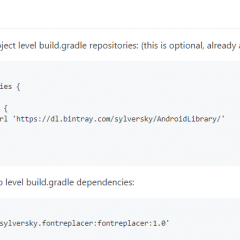 Android Library to help adding custom fonts to Android Views. 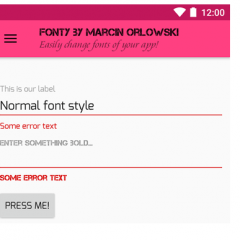 Smart Fonts for Android is a Library which makes it easy to use Custom Fonts in Apps. The easiest way to customize fonts. 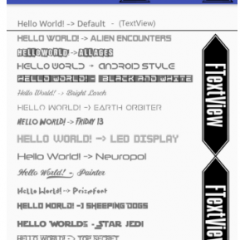 You can change fonts on direct xml. There are 16 fonts in it. 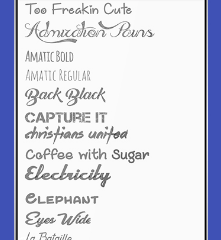 You can directly add your own font to the “assets” folder. 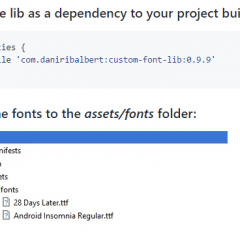 Android Library to use custom fonts with ease. An android library to display FontAwesome Icons in any View or a MenuItem. 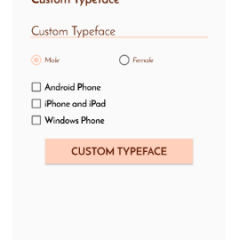 Set custom fonts in android easily. 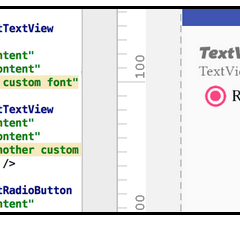 A library that allows you to set a custom font in xml for all your TextViews. Custom-Typeface is a library to add custom fonts in android. 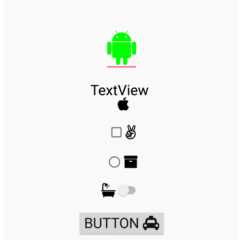 By using this library you can easily set custom font on TextView, EditText, Button, CheckBox, RadioButton and AutoCompleteTextView and other wedget in android. You can set custom typeface easily in XML. 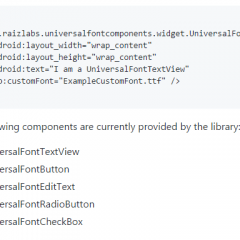 Library to change/add font of Entire Android Application at once without wasting your time – TextViews, EditText, Buttons, Views etc. 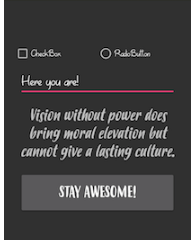 Change all text in your android application with selected font. 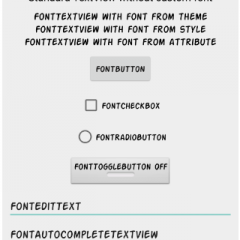 Support for applying of custom font to widgets for the Android platform. 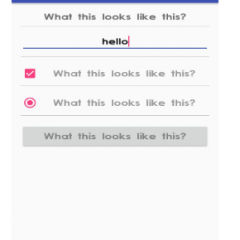 Android library allowing you to easily change the typeface of your UI elements. 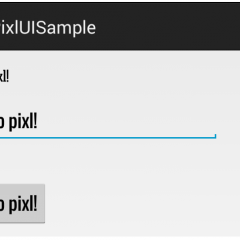 PixlUI Provide few methods for visual elements. 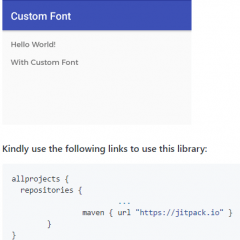 A helper library to set custom fonts to your android view.